Tehran railway station. Credit: Rolf G Wackenberg/Shutterstock. 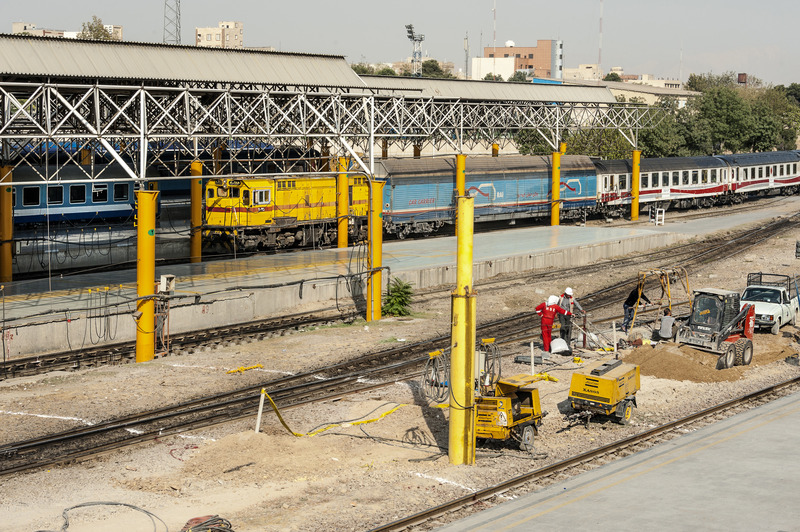 FS Group and Iranian Railways have signed an agreement to develop the Middle Eastern country’s high-speed network. The deal covers scientific cooperation and staff training and is part of an initial framework contract in 2016 for the development of the Qom to Arak and Tehran to Hamedan high-speed lines. Back in 2016, FS agreed to build the high-speed lines, a test centre and to train staff. FS CEO Renato Mazzoncini said (Translated from Italian): “These agreements mark an important step forward for the FS entry into the major project of high speed Iran, specifically the Qom-Arak line. “Over the next 180 days, time needed to resolve the tangle of economic guarantees and financing… will be finalised the contract for an amount of 1.2 billion euro.